Superdry women's Elsie slouch crew knit jumper. This jumper is a seasonal staple, and features a crew neck and folded cuffs. 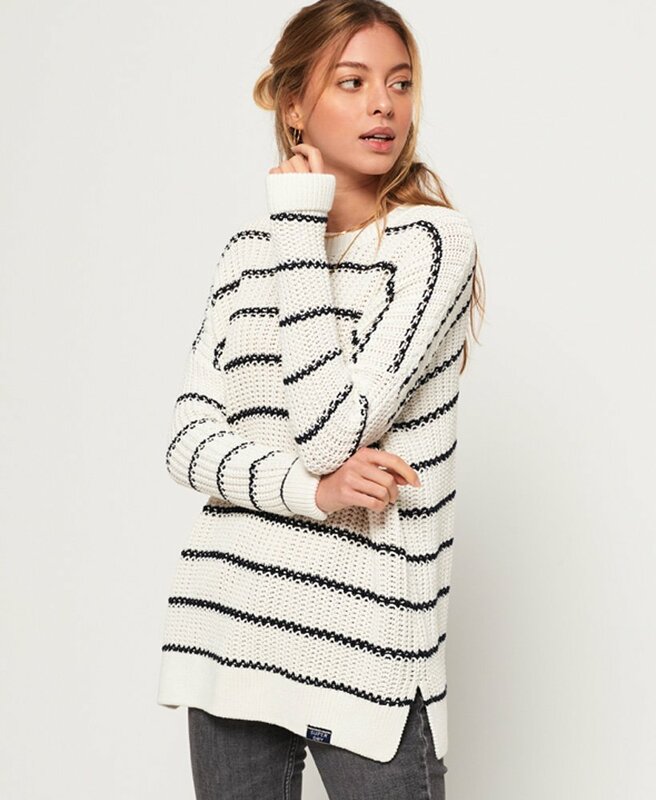 This knitted jumper also features a stripe design throughout and ribbed trims. The Elsie slouch crew knit jumper is completed with a Superdry logo tab on the seam and would look great styled with jeans for a casual look.